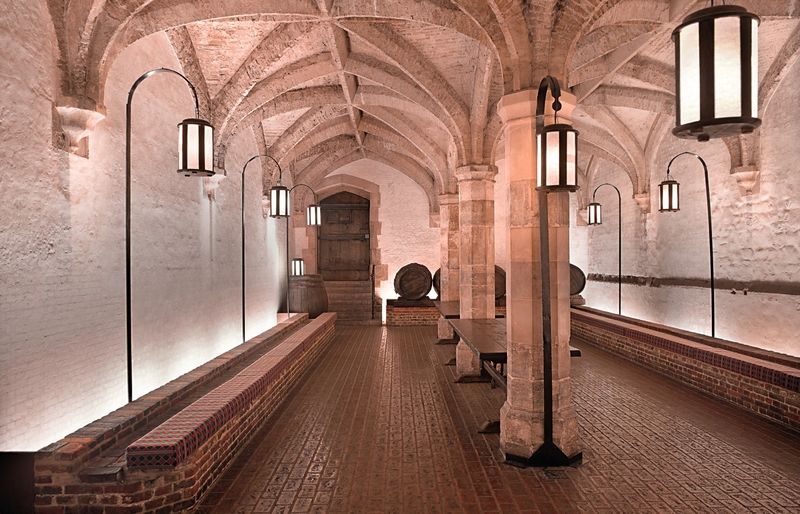 A rare opportunity to access Henry VIII’s original wine cellar – still intact and today preserved in its location under the Ministry of Defence Main Building. Accessible only with MOD permission and with military hosts this provides a unique experience for 20 guests to enjoy an evening’s hospitality in a beautifully preserved venue not normally accessible by the general public. Dates tbc. The catering provision comprises: Three magnums of Champagne (Taittinger) – providing a minimum of 1.5 glasses of Champagne per guest; House Red and White wine (MoD) sufficient for a minimum of 3 x 125ml glasses of wine per guest; Water and soft drinks, Ice; Plates, cutlery and glassware ; A selection of Savoury and Cheese Platters. A member of the MoD Amey event team on hand to assist with serving drinks. Food is self- service. NB these quantities are based on an assumption of 20 guests, and are for guidance only. They will be adjusted pro rata dependent on the final guest numbers. If you would like to order any additional food or drink, over and above what is included, you are very welcome to do so. We will provide the menu and invoice details and you will be billed separately for this by Soldiering On. The hosting within the Henry VIII wine cellar must be undertaken by 31st July 2018.